Lasagna is one of those foods which almost everyone loves, no matter how old they are. 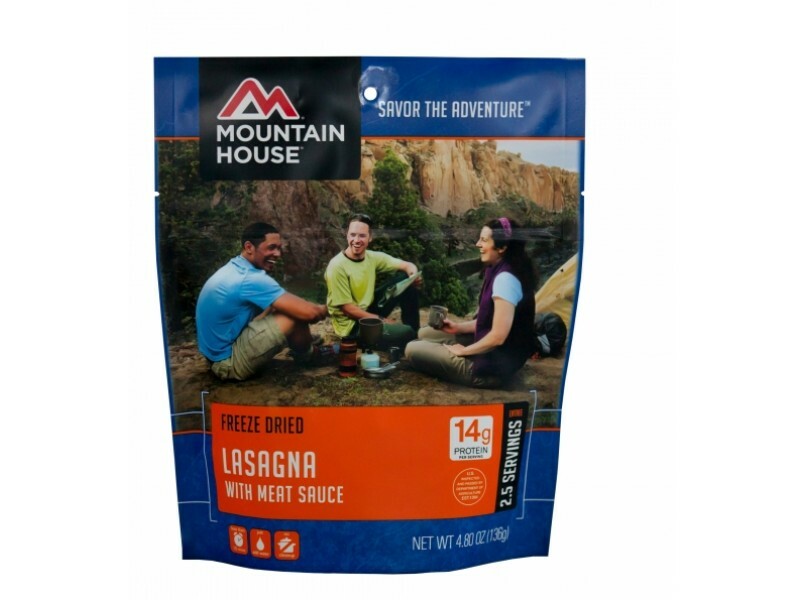 Purchasing this high quality lasagna dish from Mountain House will help ensure you always have access to food that you and your family can enjoy, no matter what happens to the world around you. 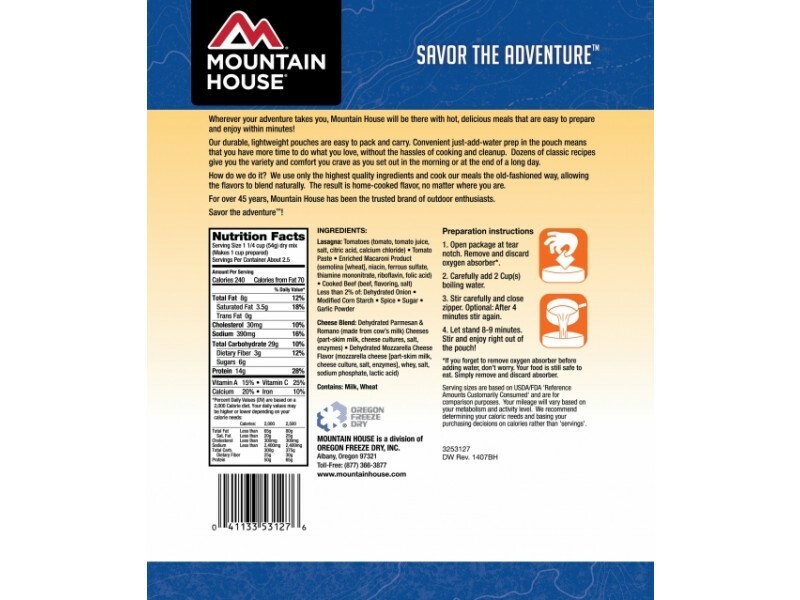 Each pouch you order will contain 2.5 servings of 1 cup each. This is enough to fill up any individual, or to use as a side dish for a whole family. 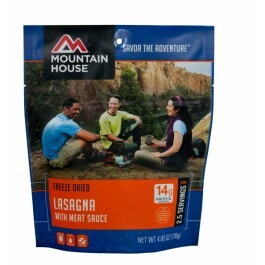 Of course, you can always order multiple pouches so you’ll have it for multiple meals. 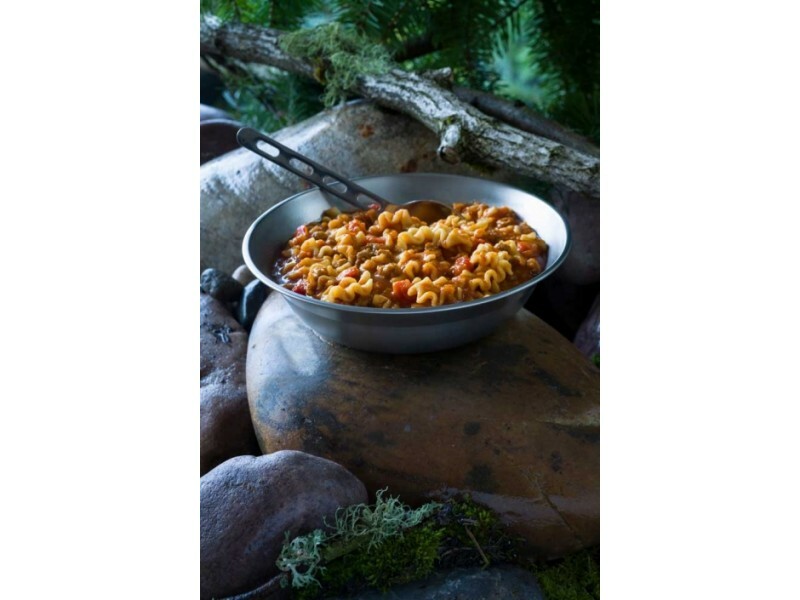 This lasagna recipe was also chosen specifically to help ensure you will be getting plenty of vitamins, minerals and other nutrients that are essential for most survival situations. Each serving contains 14 grams of protein, 240 calories, 3 grams of fiber and much more. All of these things are very important for keeping you going during a disaster, or giving you the energy you need in almost any situation. No matter what you plan on using this great tasting meal for, you’ll be happy you have it available when the time comes. Don’t put it off, order today!